One of India’s biggest and the oldest car manufacturers in India, Maruti Suzuki, is known for their historical quality and durability of the cars they manufacture. Maruti Suzuki is currently at a new high after new launch initiatives are being planned out. 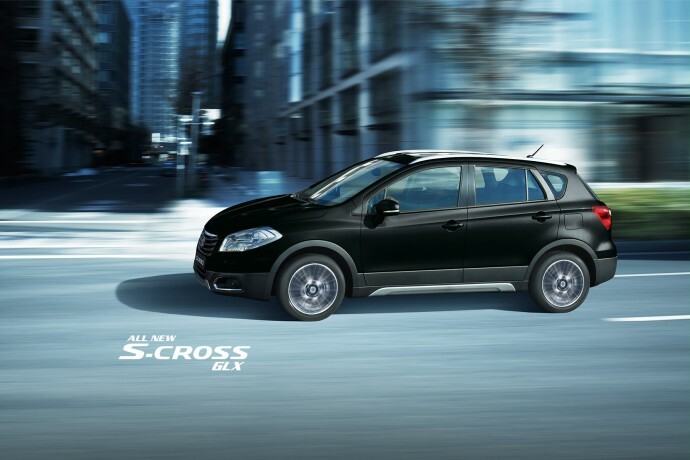 As for the most recent development, Maruti will be launching a new vehicle that goes by the name ‘S-Cross’ for the Indian market. Touted to be the most expensive car the company has to offer, the vehicle has to offer a grand space of 430 litres of luggage capacity. The S-Cross will come in two diesel variants: a 1.3-litre DDiS 200 unit that makes 90PS and 200Nm and the larger DDiS 320 in sync with its 320Nm of torque and 120PS of power produced by a 1.6-litre engine. The vehicle is also available in the petrol variant for the international markets. It is anticipated that the vehicle will have a six-speed manual transmission. Internal features include a 7-inch touchscreen infotainment system, projector HID headlights, keyless entry and button start functions. Zigwheel cites that the vehicle will be launched in the first week of August and is expected to be priced between Rs 8-12 lakhs. The vehicle will be sold via the new Nexa premium car dealership from Maruti Suzuki. By looking at the car’s specs, features and price range, we can say the crossover will be going up against other SUVs like Nissan Terrano, Renault Duster, and maybe, against Hyundai ix25. It is expected that with the launch of this new vehicle, Maruti may well expect new heights in its sales numbers.